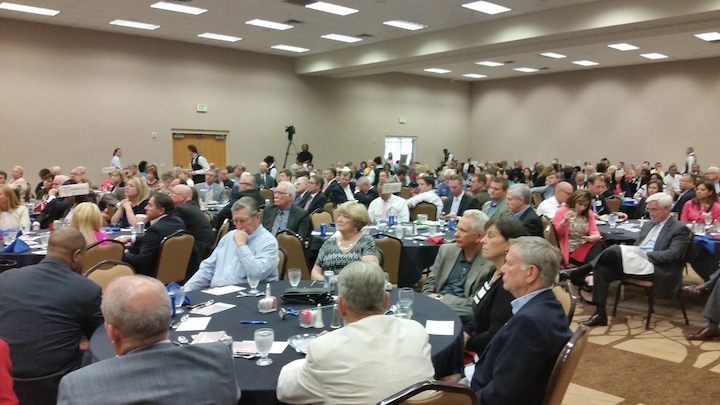 Four Corners Area Council of the Kissimmee/Osceola County Chamber of Commerce hosted Four Corners Summit 2016 at Ramada Gateway Kissimmee on Highway 192. At this working luncheon, representatives from the four Florida counties that comprise the “Four Corners” area of Central Florida gathered to present the state of development in their portion of the Four Corners and workshop a dialogue on how the four counties can better work together going forward. 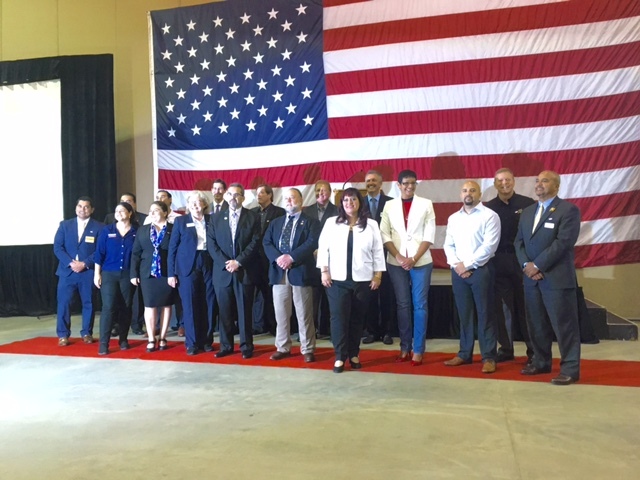 In attendance were 150 members of the Four Corners business community, including elected officials and members for the Four Corners Area Council Board of Directors. Participating were District 1 Commissioner Timothy Sullivan and Economic Growth Director Robert Chandler from Lake County, District 1 Commissioner Scott Boyd and Assistant Planning Administrator Eric Raasch from Orange County, Community Development Director David Tomek and West 192 Development Authority Executive Director David Buchheit from Osceola County, and District 4 Commissioner Todd Dantzler and Assistant County Manager Bill Beasley from Polk County. The 2016 Four Corners Summit is sponsored by: Duke Energy, Formosa Gardens, Heart of Florida Regional Medical Center, Bardell Real Estate and ABC Paving and Sealcoating.